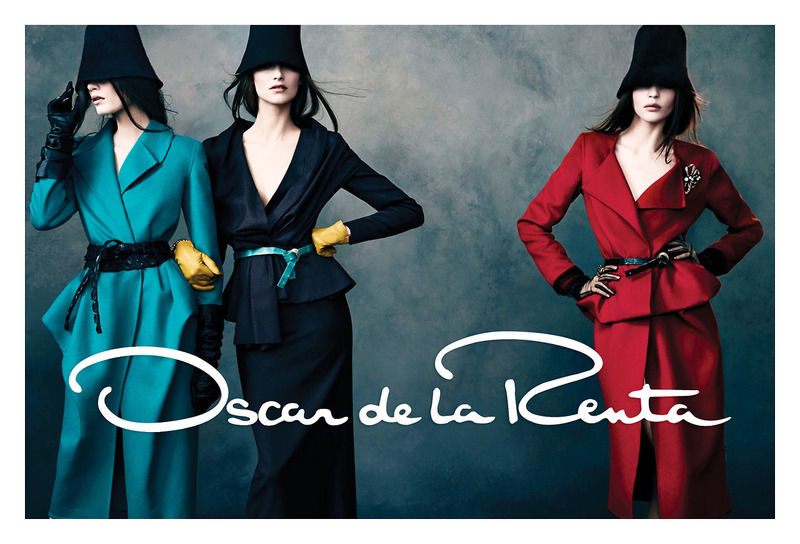 Can't wait to get your hands on Vogue's September issue? 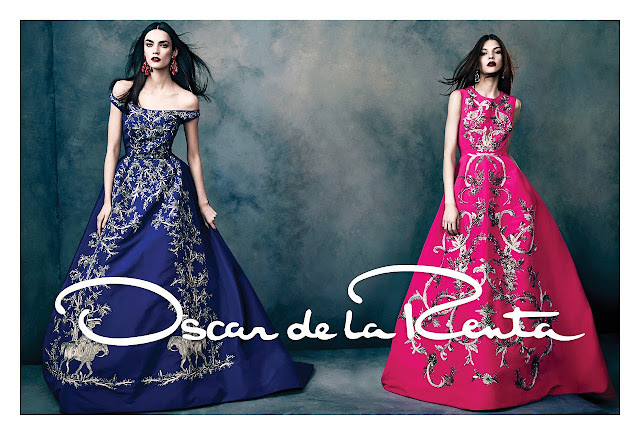 To help you waiting, here is a colorful sneak preview of Fall fashion thanks to Oscar de la Renta. 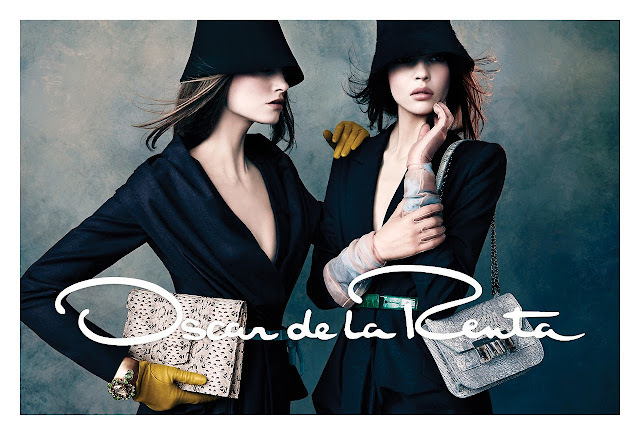 Shot in NYC by the iconic fashion photographer Norman Jean Roy, de la Renta's latest ad campain was styled by Alex White while the hair and makeup was done by Orlando Pita and Gucci Westman, respectively. Known for his ability to create glamorous and utterly feminine silhouettes season after season, Oscar de la Renta has imagined an opulent Fall collection filled with floral dresses, mysterious hats, bejeweled accessories, elegant heels and beautifully cinched waists. Rich hues for Fall, bring it on! 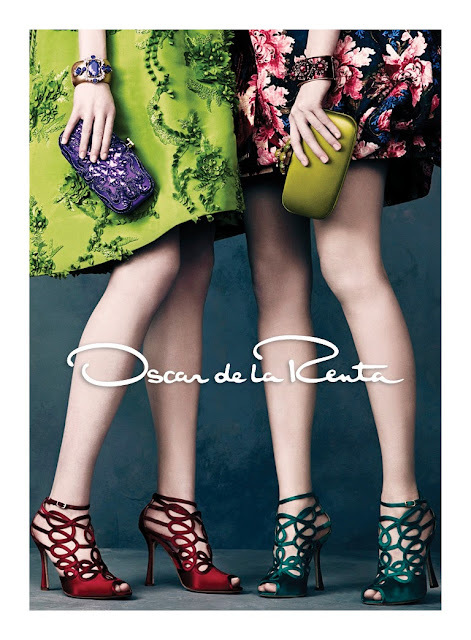 2 comments on "Opulence At Oscar De La Renta Fall 2013"
Gorgeous rich colours for autumn I love the last photo - those shoes are beautiful !